As we know, GTA has always been a third person video game series. 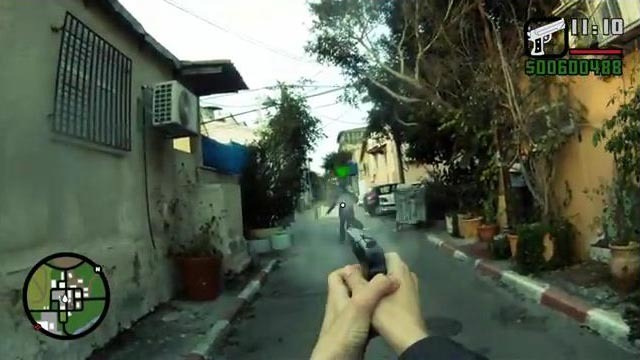 But if you’re curious what a first-person Grand Theft Auto looks like, the following video would be nice answer. This is an amazing creative video inspired by the famous video game series Grand Theft Auto, and produced by ElectRoulette. In the video, the original third-person perspective has been replaced by the first person, and all the 3D characters and virtual scenes have been changed by real people and world. Of course, similar with the main character in GTA video game series, the guy also needs to rob a few vehicles, eliminate other gangs and etc. After the break, check out what had happened in the first-person Grand Theft Auto in real life.